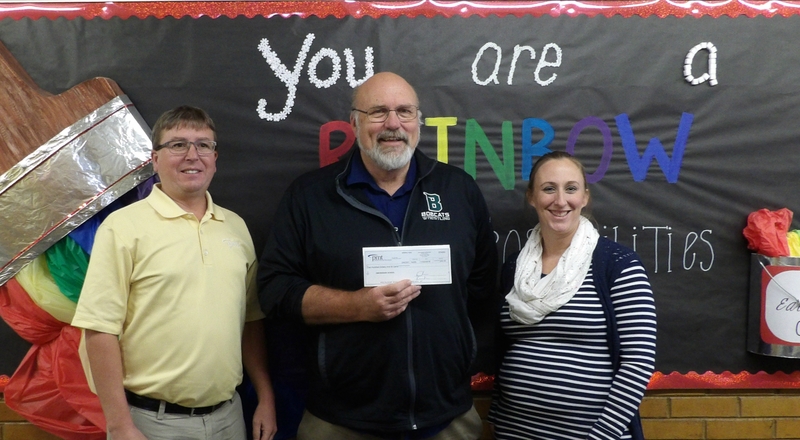 The Bill Matthew’s Football Field at Minico High School will be donning a new scoreboard next season, thanks in part to a generous $5,000 donation from PMT. 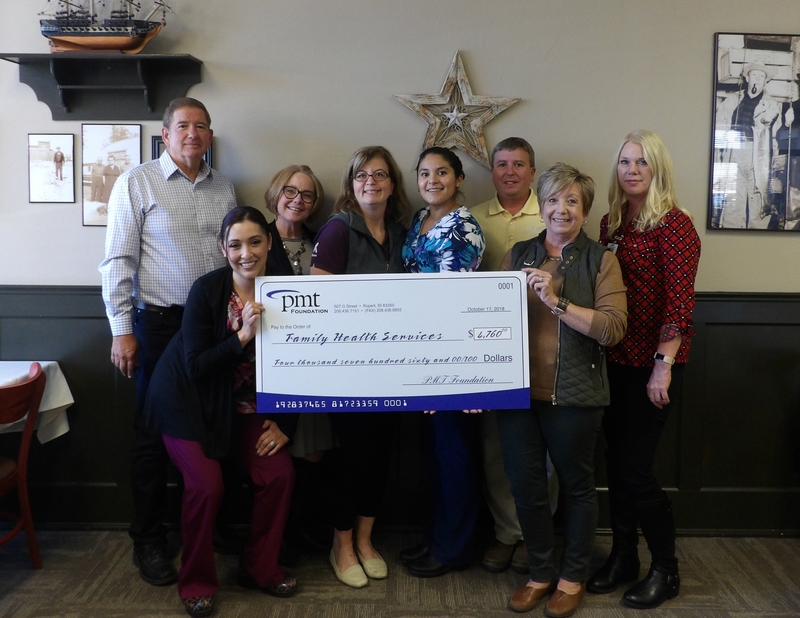 “We are so grateful for the generous support of PMT and other local businesses. Athletics and extra-curricular activities provide opportunities and teach amazing life lessons to our students. 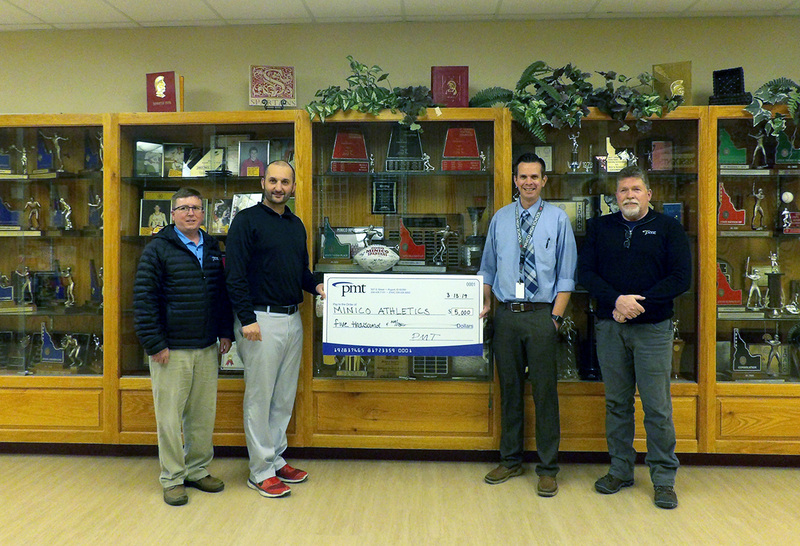 We are fortunate to have businesses, like PMT, that recognize the impact extra-curricular activities have on the entire community and are willing to help support our schools,” said Josh Aston, Minico Principal. The new scoreboard has been ordered and will be installed in time for the 2019 football season. 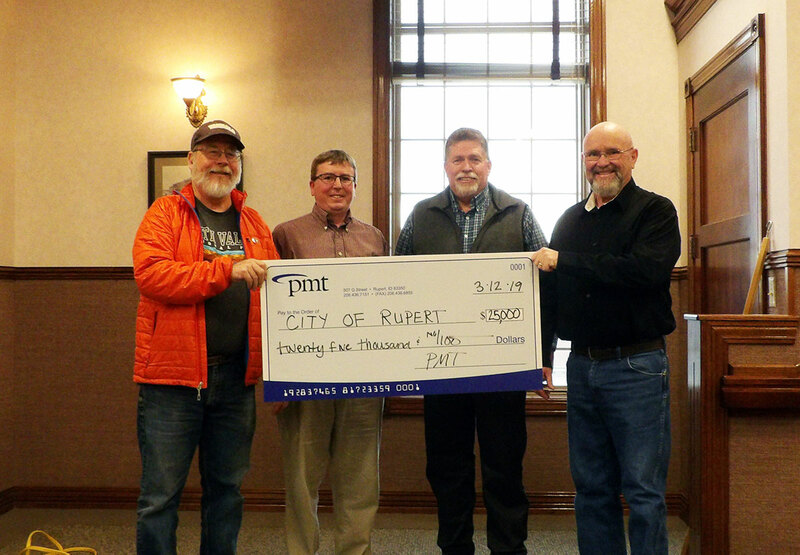 PMT recently made a $15,000 donation to the City of Rupert to help with the Rupert Square renovations. 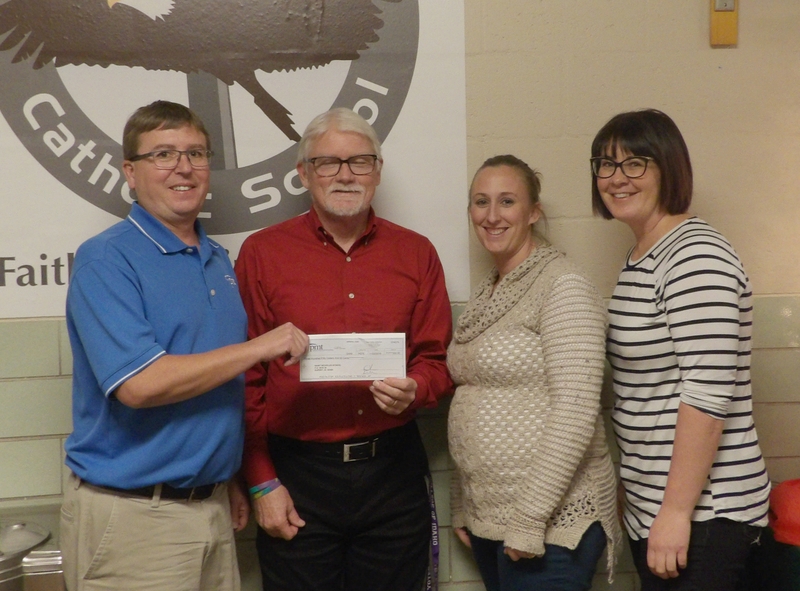 PMT also made another $10,000 contribution to the Square project in Charlie Creason’s name in honor of his retirement from PMT. Creason was the President and CEO of PMT for over 22 years from 1992-2015. Creason has been a long-time supporter of economic development and Rupert’s revitalization, spearheading projects such as the Wilson Theatre renovation and developing Wee Links, a 6-hole youth golf course. Creason also owns E-Street Deli and the Drift Inn, both on the Rupert Square. “It was an honor for the PMT Board of Directors to recognize Charlie Creason for his outstanding leadership as he retired as General Manager at PMT! 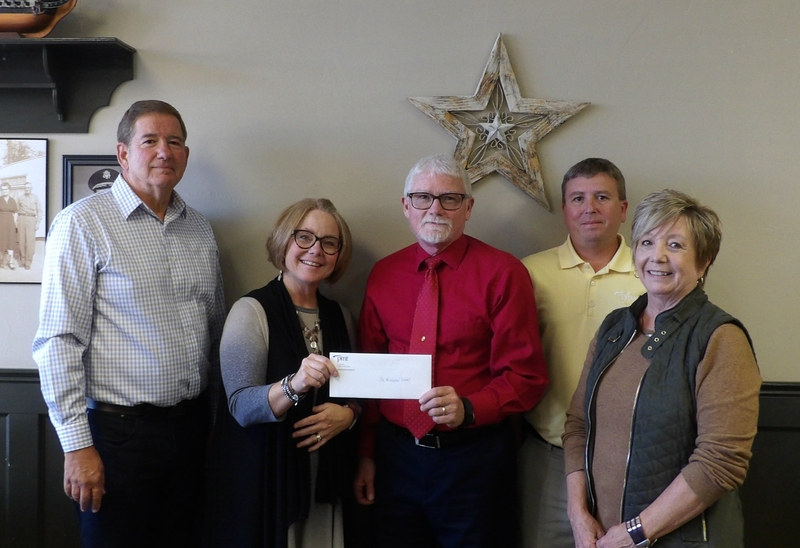 In recognition of his years of civic involvement in helping to renovate downtown Rupert, the Board chose to donate in Charlie’s name to help in the remodel of the Rupert Square and park,” states Alan Johnson, PMT Board Member. Phase 2 of the Rupert Square renovations started the beginning of March and is scheduled to for a June completion, in time for the Rupert 4th of July Celebration. Rupert Square Phase II project will update the existing streetscape to include new concrete curb and gutter, sidewalks, and landscape. New curb and gutter will be placed on the corners and adjacent intersections of the Square. New sidewalks will contain a mix of fresh concrete and pavers that aim to update the surrounding aesthetics of the recently renovated park. New landscaping on the streetscape will include new trees in concrete planter boxes with decorative fencing, new concrete planter pots, and hanging baskets that will be installed on light poles. The project will also install two new customized items, one of which will be a 3’ x 5’ City of Rupert medallion that will be inset into the new concrete approach on the Southeast corner of the Square. The second customized item is a post clock that has been donated and will help to add to the updated aesthetics. PMT is committed to serving the residents of Southern Idaho, and our dedication to this area is fundamental to who we are as a customer-owned company. Unlike our national competitors, we care about more than just making a profit. We are about making a difference. The Annual Wilson Theatre Fundraising Gala, raises money for the operation and maintenance of the Historic Wilson Theatre. 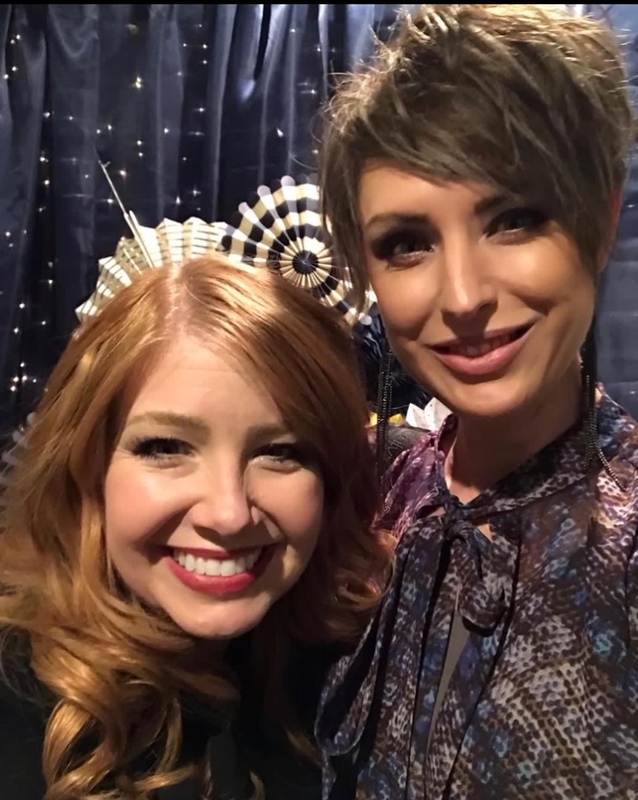 This year’s gala was held on March 2 at the Wilson Theatre. Event-goers enjoyed good food, live entertainment, raffle and auction. To learn more about the Theatre and view upcoming events visit the Historic Wilson Theatres website here. 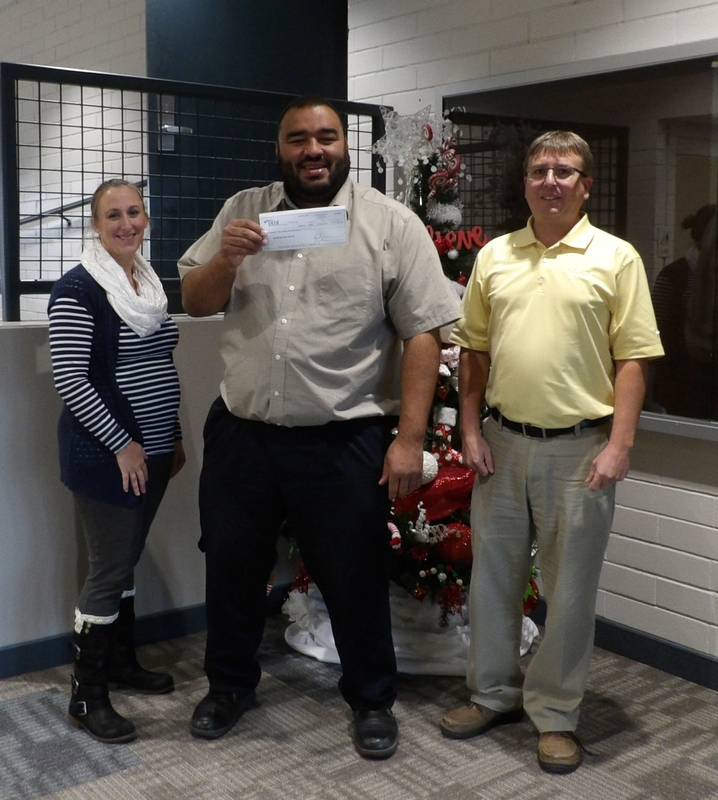 PMT is pleased to be able give $400 to the 12th Annual QRU Fundraiser. This year’s event is scheduled for Sunday, June 2nd, 2019. Events include a pancake breakfast, a motorcycle challenge run, live entertainment, raffle, evening BBQ, bounce house, photo booth and much more. This event is put together to offer appreciation, and some much-needed financial support for some local heroes. 100% of the proceeds raised at the event will be divided equally amount 9 local Magic Valley Quick Response Units, which are: West End (Paul), Filer, Buhl, Hagerman, Salmon Tract (Hollister), Rupert, Rock Creek (Kimberly), Bliss and Castleford. To learn more about the event visit the Annual QRU Fundraiser’s website here. 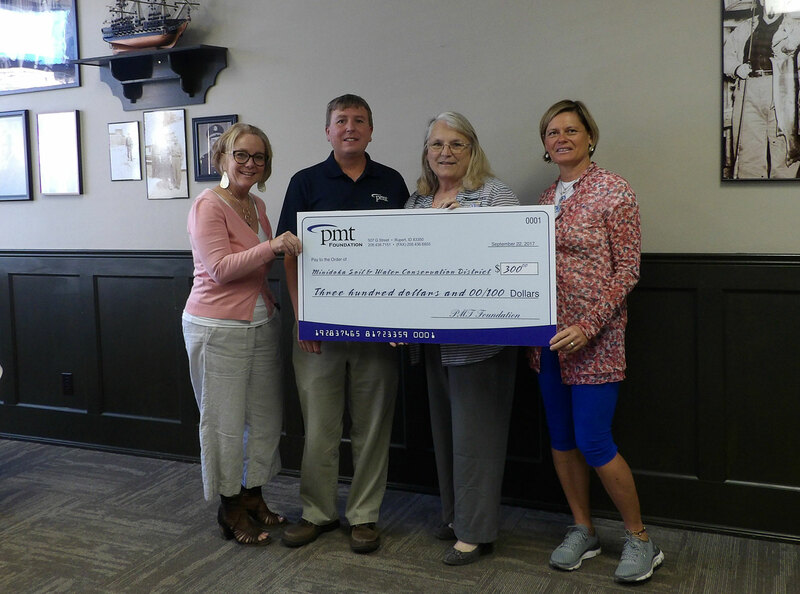 $150 secures PMT’s logo at Warburton field during the season and gives the American Legion Baseball team’s funds a boost to help with maintenance of the field as well as costs incurred by the team. In a few short months, Minico High School will be graduating the Class of 2019. PMT is happy to donate $100 to an all-night graduation party where these seniors can celebrate their accomplishment in a fun and safe environment. Way to go Minico Class of 2019! Each Year, the PMT Foundation awards scholarships to local graduating seniors who plan on continuing their education. Over the past 28 years, PMT, and now the PMT Foundation, have awarded scholarships to 40 deserving seniors in the Magic Valley. This year, the PMT Foundation is pleased to be able to continue the tradition of awarding scholarships. 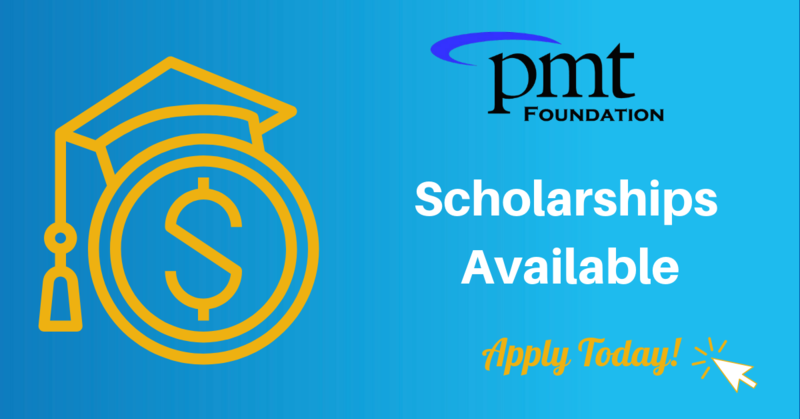 Applications for the 2019 PMT Foundation Scholarships are now available at www.pmt.org or through participating area high school counselors’ offices. The Foundation will award, at a minimum, three $2,000 scholarships in 2019. To be considered for a scholarship, applications are due by March 29, 2019. The PMT Foundation scholarship is designed to assist graduating seniors who wish to continue their education at a college, university or trade school the summer or fall immediately following their high school graduation. PMT Foundation Board Members will select the successful applicants based on the information provided on the application. Need is not necessarily a guideline for selecting scholarship recipients, but all items being equal, it may be used in determining awardees. The primary criteria are the student’s academic record, demonstrated achievement or leadership and answers to questions on the application. For questions regarding the PMT Foundation Scholarship Application process, please contact your local PMT office, or email us at pmt@pmt.org. The PMT Foundation was created in 2006 by the PMT Board of Directors as a charitable foundation. The Foundation furthers education in communities served by Project Mutual Telephone through its scholarship program, and it supports projects and programs that sustain and improve those communities. 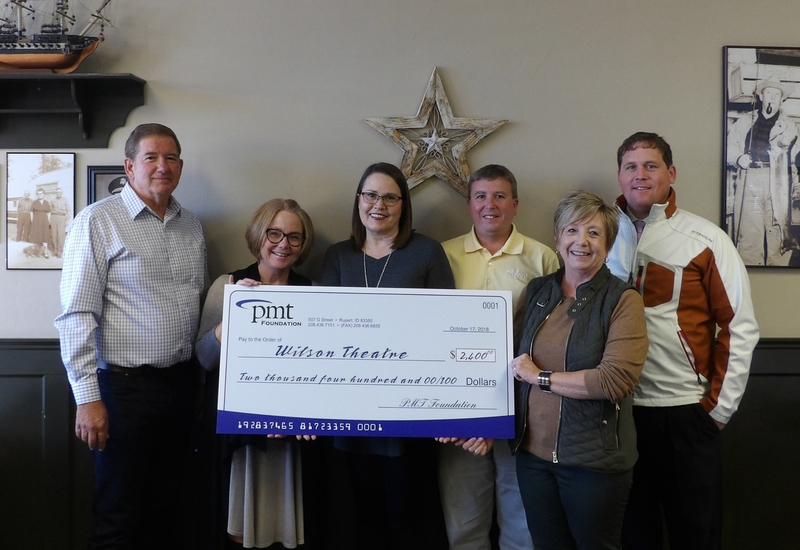 To date, the Foundation has helped over 40 area students with funding to further their education beyond high school by continuing the scholarship tradition that PMT established in 1990. The Foundation has contributed over $175,000 in grant award to community organizations that help sustain and improve our local community through various projects. 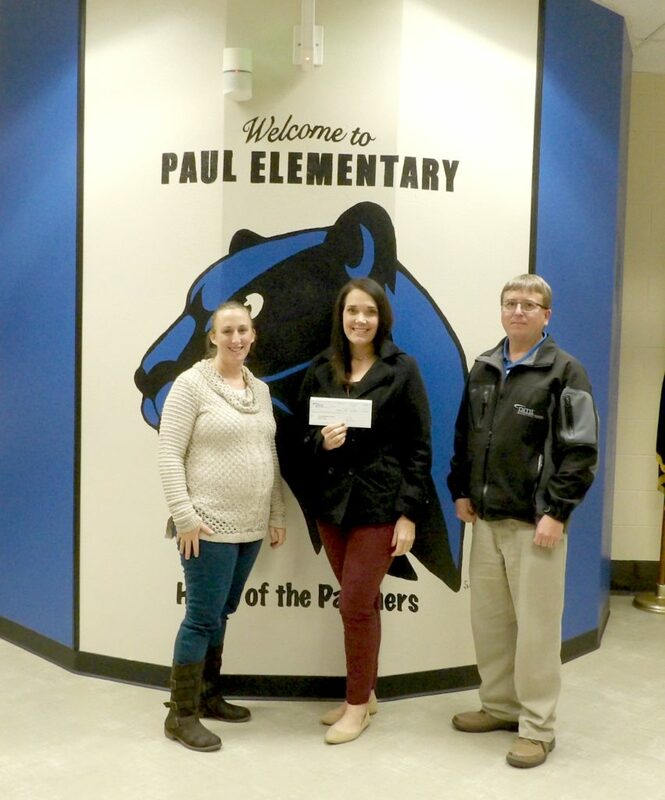 PMT recently had the privilege to deliver $3,150 to local elementary schools in Minidoka and Cassia counties. In the months of September and October PMT donated $50 to the elementary school of a customer’s choice when they signed-up or upgraded their Internet service. In all, we gave a grand total of $3,150. 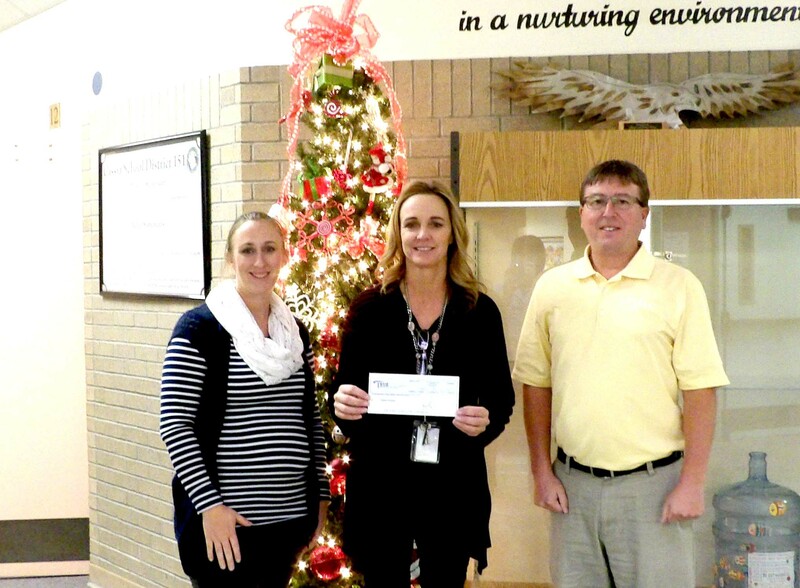 Not picutred – White Pine Elementary received $50. PMT would like to thank the following customers who made these donations possible by signing up or upgrading thier Internet service. PMT is proud to announce that $319,909 was approved by our Board of Directors to be paid out to our members. Project Mutual Telephone Inc. is a non-profit cooperative that pays dividends back to customers based on the Board discretion in regards to our annual net revenue. This year’s dividend payment will be issued in December, and represents a portion of patronage earned in 1995 and 2017. “As a cooperative, we act in the best interest of our owners, who are also our valued customers. As PMT generates an annual profit that money gets returned to our member customers… who keep us in business,” states PMT Board Chairman Dan Lloyd. Checks will be mailed the first of December. For those members receiving dividends in the amount of ten dollars or less, the credit will be applied to their December bill. Project Mutual Telephone (PMT) is a full service communication company providing local telephone and its associated features, including long distance and voicemail, mobile phone service, cable TV, IPTV, high speed internet, directory publishing and computer networking and repair for home and office. Headquartered in Rupert, Idaho, PMT has been serving the Magic Valley since 1916. PMT serves 8,000 member customers and has offices in Rupert, Burley and Twin Falls, ID. For more information, see www.pmt.org. 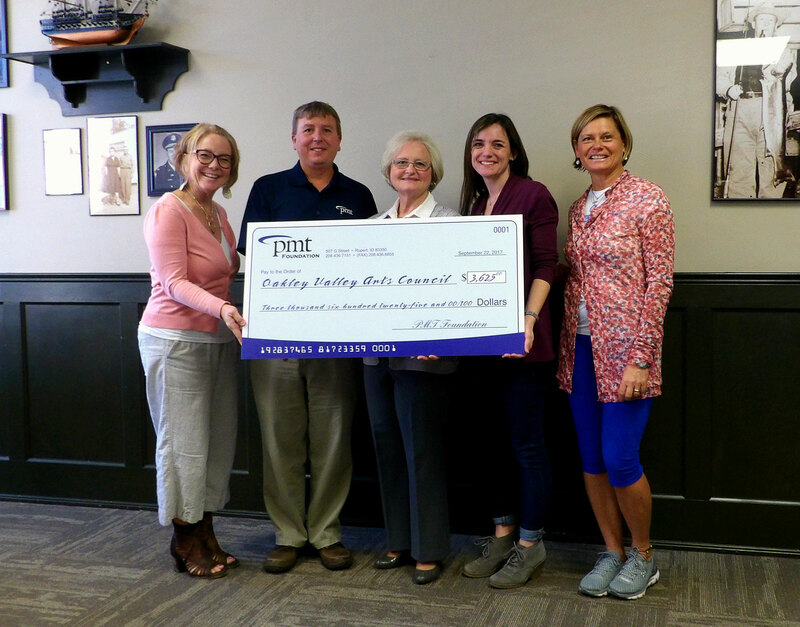 The PMT Foundation awarded over $15,000 to organizations in the Magic Valley, each seeking to help sustain and improve our community. As a customer-owned cooperative, Project Mutual Telephone (PMT) pays patronage dividends back to customers every year based on services used. 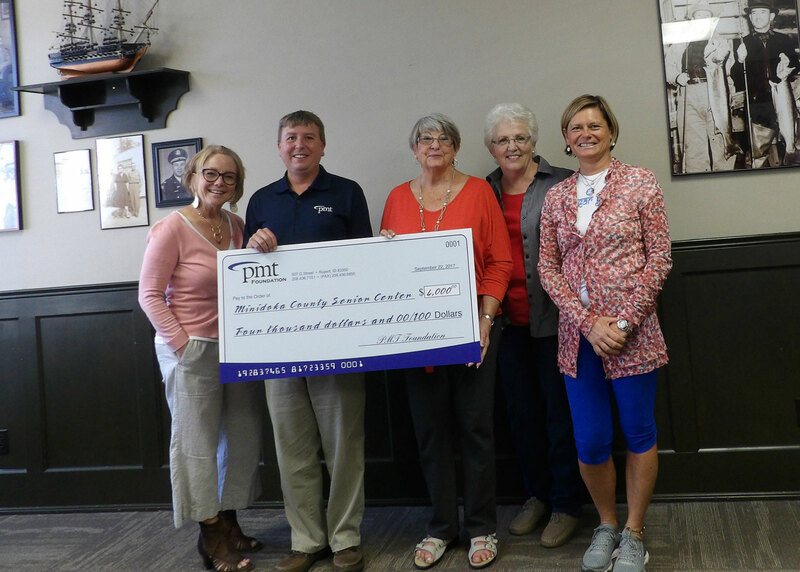 When those monies go unclaimed for a number of years, they are transferred over to the PMT Foundation, which focuses on furthering education through a scholarship program and supporting community projects through grant awards. 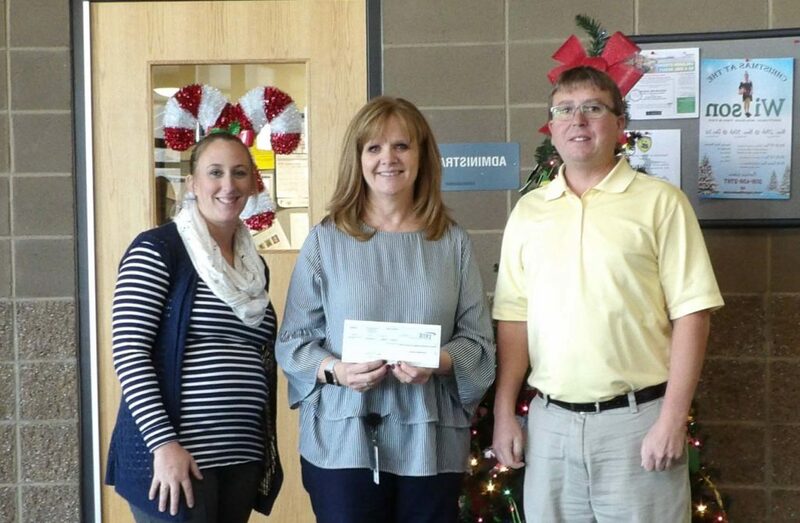 Gooding Public Library – $2,500 – for the purchase of new computers for the library computer lab.. 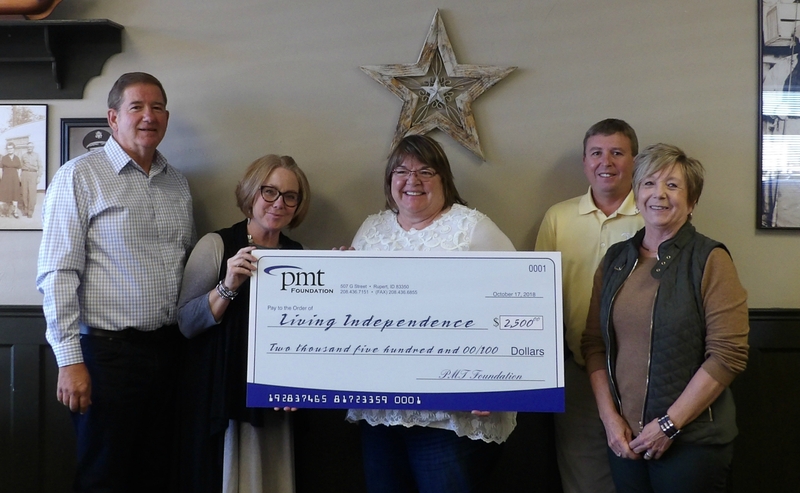 Living Independence Network Corporation – $2,500 – for the purchase of portable ramps to be loaned to people who need temporary access to their homes. Renaissance Art Center (Wilson Theatre) – $2,400 – to purchase new replica seats for The Historic Wilson Theatre. 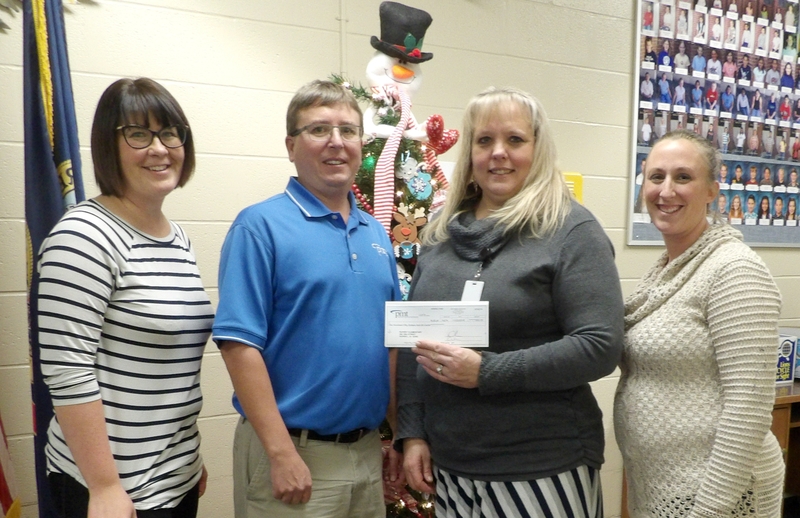 St. Nicholas Catholic School – $2,000 – to upgrade the Wi-Fi coverage on the school campus and purchase iPads for students to access a variety of educational tools and applications to enhance their learning experience. Magic Valley Arts Council – $1,185 – to replace audio mixer/dimmer and projector in the Sligar Auditorium. 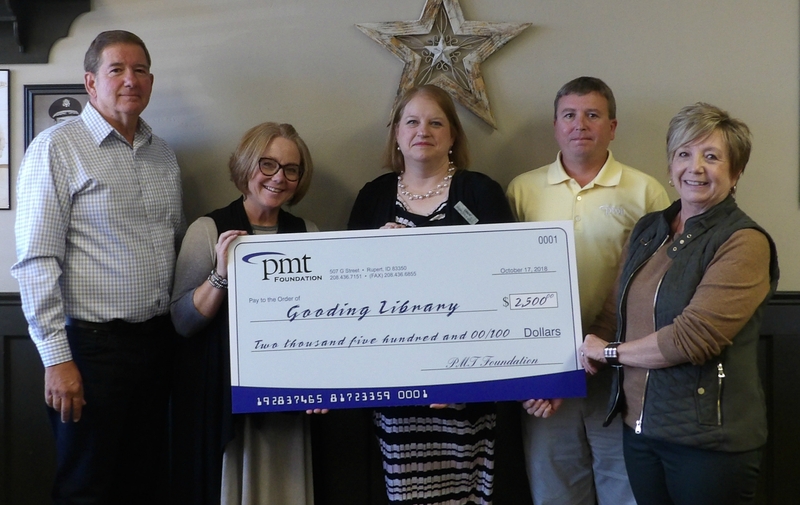 PMT Grant Applications are awarded once a year and will become available again in the summer of 2019. Project Mutual Telephone (PMT) is a full-service communications company providing local telephone and its associated features, including long distance and voicemail, cell phone service, cable TV, IPTV, high-speed internet, directory publishing and computer networking and repair for home and office. Headquartered in Rupert, Idaho, PMT has been serving the Magic Valley since 1916. PMT serves 8,000 member customers and has offices in Rupert, Burley and Twin Falls, ID. 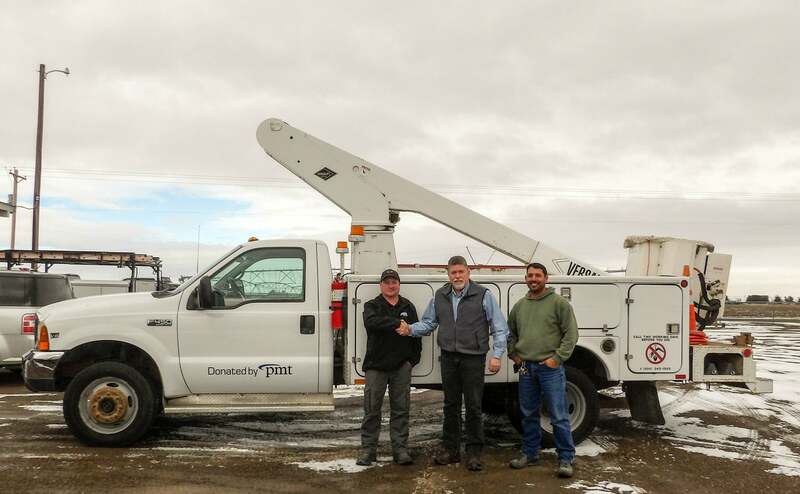 Rupert, ID – With keys in hand and smiles on their faces, employees from the City of Paul drove away from the PMT yard in a bucket truck donated to the City by the Company. Plans for the bucket truck include hanging and taking down of Christmas lights and holiday décor, trimming trees in the City parks, and many more projects that are up in the air. 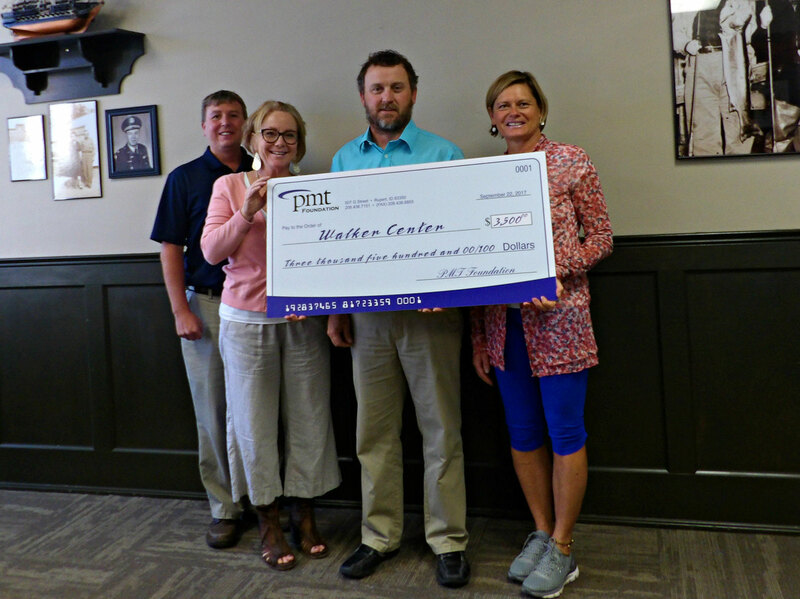 The PMT Foundation awarded over $14,000 to organizations in the Magic Valley, each seeking to help sustain and improve our community. As a customer-owned cooperative, Project Mutual Telephone (PMT) pays patronage dividends back to customers every year based on services used. 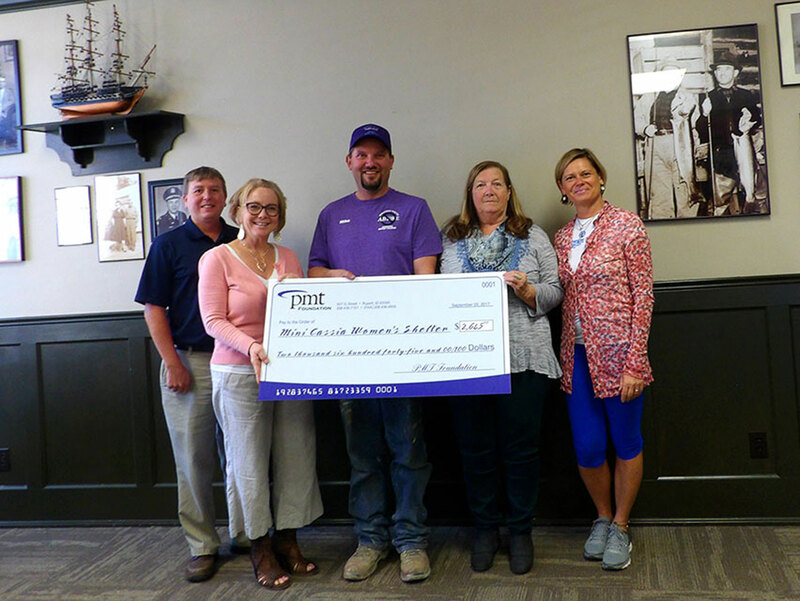 When those monies go unclaimed for a number of years, they are transferred over to the PMT Foundation, which focuses on furthering education through a scholarship program and supporting community projects through grant awards. PMT Grant Applications are awarded once a year and will become available again in the summer of 2018. Oakley Valley Arts Council – $3625 – to repair interior wall and ceiling damage on the historic Howell’s Opera House. 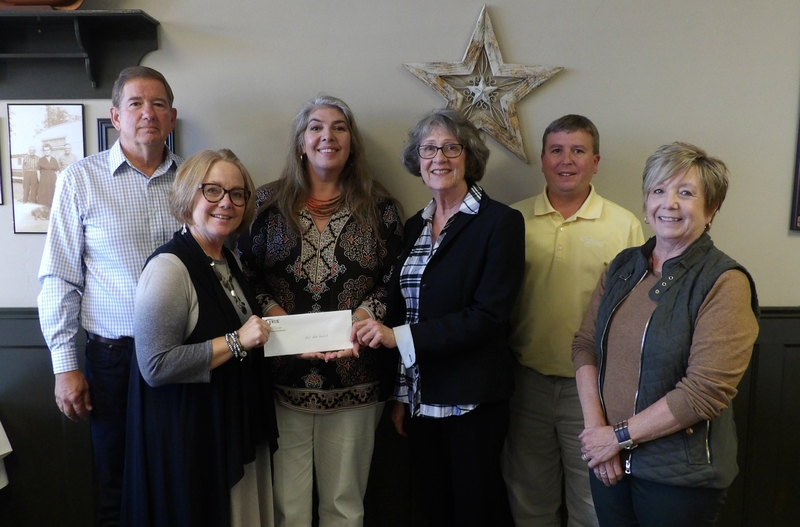 Mini-Cassia Shelter – $2645 – to replace original flooring in the shelter where victims of domestic violence can stay and receive assistance to keep them safe. 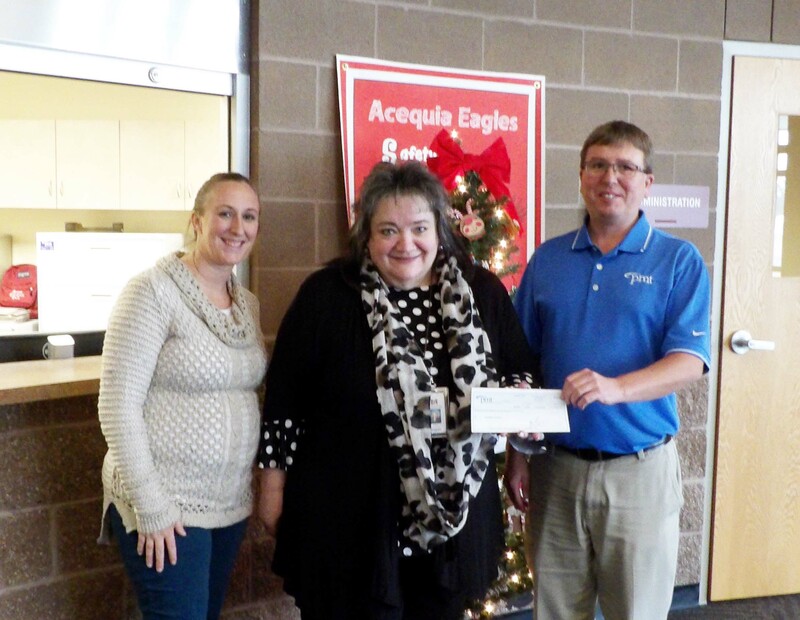 Minidoka County Senior Center – $4000 for the purchase of a new fire system to keep the kitchen that prepares the Meals on Wheels program in compliance and operational. 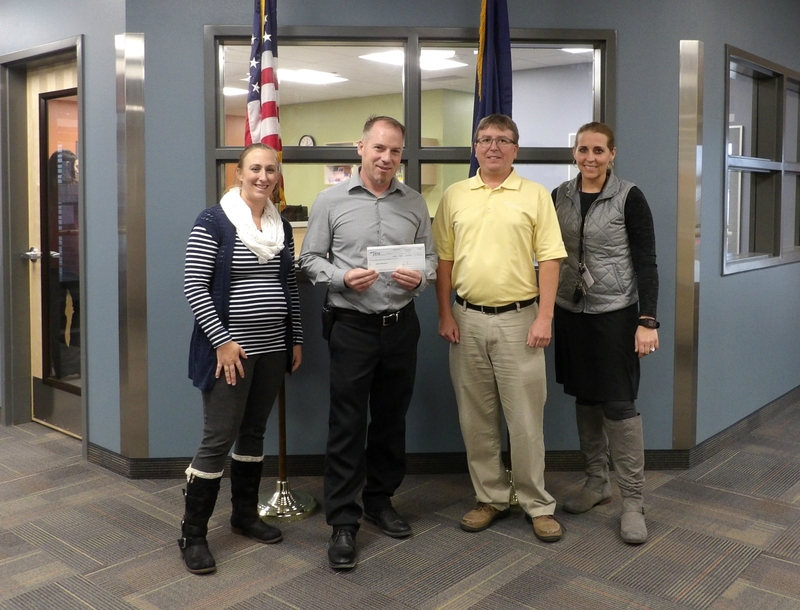 Minidoka Soil & Water Conservation District – $300 – to make and distribute pollinator seed packets to be given away to area citizens. The goal of the packets is to help residents see the benefit of good insects and help pollinators which are in decline nationwide, by providing a habitat and value to their usefulness. Current telephone number, including current area code, will not change. Consumers will continue to dial 1 + area code + telephone number to complete long distance calls. A local call will remain a local call. The price of a call, coverage area, or other rates and services will not change. Calling 911 will not change. Consumers will continue to dial three digits to reach 211 and 811, as well as 311 and 511, where available. It is important that consumers confirm that all services, automatic dialing equipment, applications, software, or other types of equipment recognize the new 986 area code. This may include life-safety systems, fax machines, internet dial-up numbers, alarm and security systems, gates, ankle monitors, speed dialers, mobile phone contact lists, call forwarding settings, voicemail services, and similar functions. 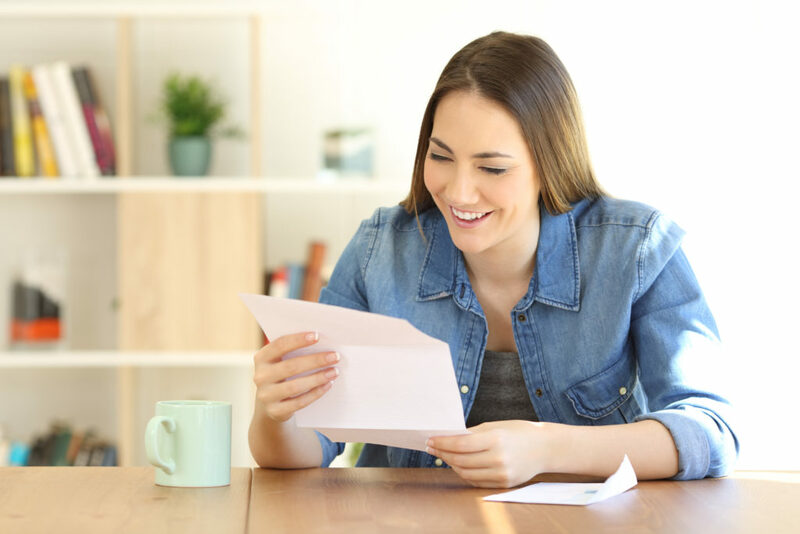 Consumers should check business stationery, advertising materials, personal checks, and personal or pet ID tags to ensure the area code is included in the telephone number. 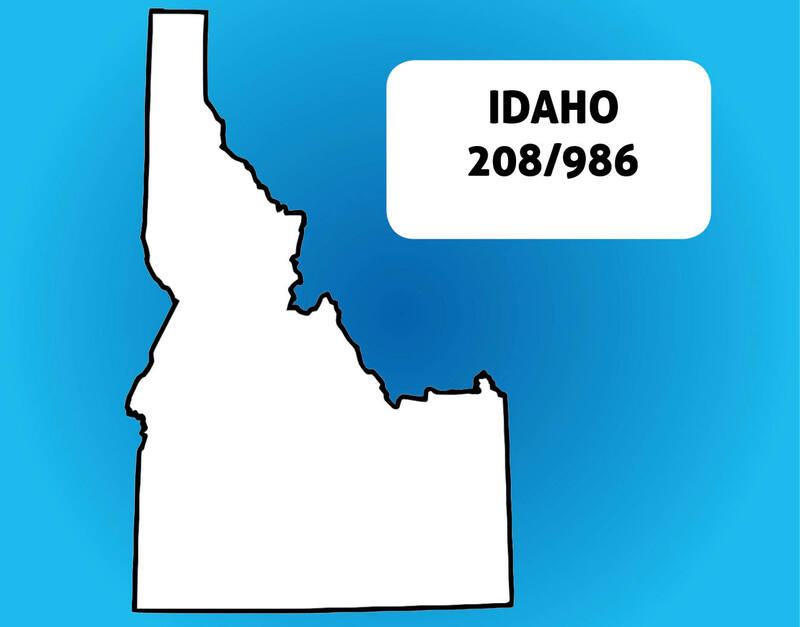 For more information, please visit the PUC website at www.puc.idaho.gov or contact PMT.